When someone from Migos declares during a live performance that it's about to be a movie, this time the group just might be speaking more literally. During a recent appearance on Zane Lowe's Beats 1 radio show, the Atlanta trio explains how they are looking to expand their artistry outside of music, with the world of movies and entertainment an organic next step. 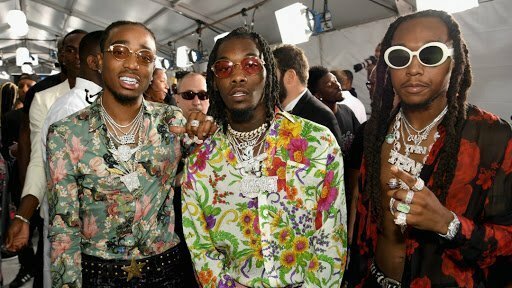 The conversation turned to focus on the group's outside interests, with Offset explaining that Quavo is "writing the scripts" for what will be the Migos' first official foray into film. "I'm a '90s baby, and all my favorite movies got all the dope artists in them," Quavo says, namedropping which movies inspire him to get creative and try his hand at scriptwriting. "Juice, Menace II Society, all the Snoop Dogg movies, Master P movies, I Got The Hook-Up, Baller Blockin, Big Tymers movies. Even Ice Cube, Cube killed it. That's what we're doing right now; we're looking into the script." Additionally, during the sit-down, Quavo, the group's natural born leader, also explains that he is still working on his side-project with Travis Scott, adding that they are "still figuring it out with the music." Take a listen to a snippet of Migos' recent interview with Zane Lowe below. Quavo drops 3 singles "BUBBLEGUM", "LAMB TALK", and "WORKIN ME"